Got any gum, chum? It's the . . .
Back in July 1978 the esteemed director John Schlesinger shot some key scenes for his blockbuster movie about wartime Britain - Yanks - in the environs of Stockport market. See how the Yanks production team transformed the area here. The film, starring a young Richard Gere, has become a classic, with its evocative depiction of the country at war and the impact of those "overpaid, oversexed and over here" American troops who turned quite a few young ladies' heads! So for our 14th July Yanks in Stockport fair we are marking the 35th anniversary of the Yanks' film crew in Stockport by celebrating the 1940s Home Front in Britain - a time not only of rationing, hardship, danger and loss but also of community spirit, courage and lots of making do and mending! UPDATE! 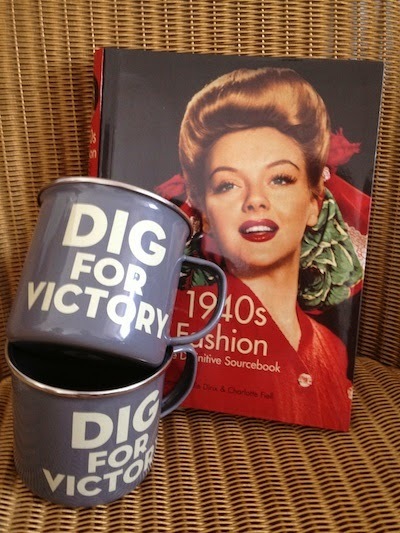 Dress to impress 1940s-style and you could win a super prize bundle of the recently published 1940s Fashion book, a pair of Dig For Victory tin mugs, and a Woolton Pie for tea! ★ A selection of original wartime vehicles from the Military Vehicle Trust - we're not sure how many will show up as yet! ★ Renowned father'n'daughter duo Paul and Natasha Harper will entertain you all day with popular songs from the wartime years. ★ UPDATE! Bootleg Swing will be showing us some vintage dance moves! Learn how to dance Swing Jazz, the Charleston, Balboa, Old Time, the New York Stroll. ★ Stockport Air Raid Shelters will be attending with their handling collection of original wartime artefacts. Want to try on a tin hat for size? Now's your chance! 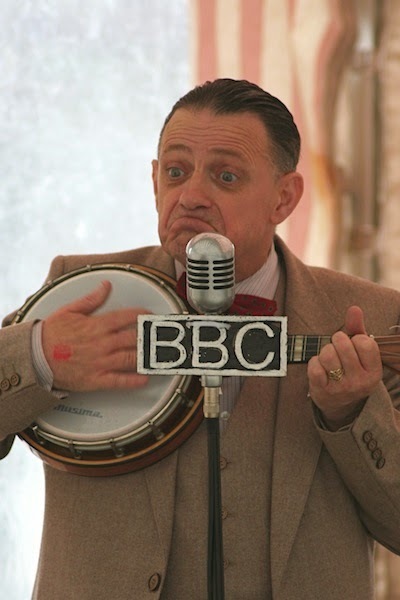 ★ The award-winning Lord of the Pies will be offering a special, limited edition, gourmet version of the Woolton Pie, a vegetable dish created by chef Francis Latry of the Savoy Hotel to encourage healthy eating during the war. ★ Kitsch Republic is having a mega July sale to clear out old stock! Naturally, there will be the usual vast array of quality vintage goods from all eras (not just the 1940s! ), including vintage clothing and accessories for ladies and gents, jewellery, homeware, decorative items, small furniture, luggage, textiles, toys, collectables and curiosities presented by our fabulous traders. On show in our pop-up cinema, ground floor, The Produce Hall. 11.30 am Humphrey Jennings documentaries from the Second World War, including The First Days (1939) London Can Take It! (1940), and Listen to Britain (1942). See how the the Second World War was presented to cinema audiences around the world at the time by this acclaimed British director. You will have seen clips from these films before, now enjoy them in full. Wonderful wartime romantic movie starring Richard Gere, Lisa Eichhorn, Vanessa Redgrave and William Devane. Watch out for the scenes shot in Stockport, and get your hankies out for the heart-tugging finale! All this and you want feeding too? Don't you know there's a war on?! Oh, go on then. We'll have the mighty Lord of the Pies, serving their traditional and modern British handmade gourmet pies, with a Woolton Pie special exclusively created for this fair. The best mobile coffee in the Northwest from Kandoo Mobile Coffee. UPDATE! Here's the Lord of the Pies menu. British root vegetables, spring onion & fresh herb velouté with cheese gratin. Local reared beef, roast chestnut mushrooms & real ale. Cheshire lamb, red wine jus, hint of mint & broadbeans. Stockport V - a first for The Vintage Village! Our new vegetarian pie is vegetable & mycoproteins stew, Lyonaise potatoes & Robinson's Old Tom Ale. All served hot with a choice of mash, mushy peas and gravy. Agatha Blue - vintage furniture and homeware. All Mod Cons - vintage mid-century homeware, telephones, collectables, furniture, 50s-70s. Find them at Room at the Top Vintage Goods. Attic Bazaar - women's wear from Victorian to 1930s, dolls and dolls house ephemera, costume jewellery, homeware, trinkets. Baboushka's Silver - vintage silver jewellery from the 1880s to the 1980s. Bathing Beauty - super natural skincare. Bluecat Jewellery - vintage jewellery, glassware and ceramics. NEW! Bridgend Centre - homeware, jewellery, paper patterns, books. All proceeds go towards supporting their community co-operative. Chapeau Carmine - vintage styled millinery, bags, purses and jewellery. Eclectique Chic - women's vintage clothing, accessories and jewellery 1950s-80s. Evoke Vintage - vintage homeware, women's clothing, accessories and jewellery 1940s-80s. Fiona Barber - vintage records, jewellery, clothing and homeware. Funky Orange Vintage - ladies' and gents' vintage clothing and accessories, 1940s-80s. Goody Gum Drops - vintage homeware, books and toys. Harwood-Brown - mid-century furniture, kitchenalia, women's clothing. James Wilson - along with sidekick Keith, these two gentlemen always have a curious array of objects; everything from wind-up gramophones, miniature steam engines and steamer trunks to enamel badges and hatpins. Lace and Liquor Vintage - women's vintage clothing, homeware, kitchenalia, collectables 40s-70s. Lola Cream's Vintage - vintage clothes and accessories from the 1950s onwards; some homeware. LUNE_Vintage - vintage homeware, mid-century bar ware, women's vintage accessories. NEW! Mabel on the Table - homeware 1950s-70s. Maureen Woodman - vintage glassware, pottery, linen, books and postcards. Memories Are Made of These - 1960s-70s homeware. Pearlie Queen Collectables - vintage homeware, ceramics, glassware, costume jewellery 1920s-50s. Retrorags - vintage men's and women's clothing, bags and homeware 1940s-80s. Frankie Cooksey hitches a ride at last year's Yanks in Stockport Fair. Photo by Jo Cooksey. Jeeps from the Military Vehicle Trust at last year's Yanks in Stockport fair. Photo by Ellie Hill-Bruce. The entertaining Mr Paul Harper. Photo by Andrew Ayres. 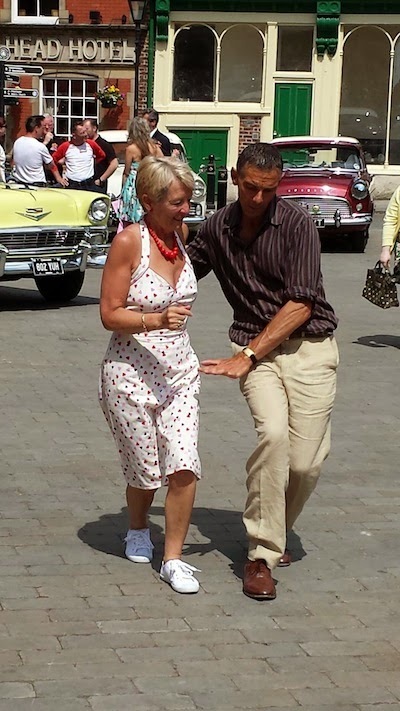 Bootleg Swing will be here to show you some 1940s dance moves, with free dance demos in the afternoon, so do join in! Photo by Alison Thorpe. Best 1940s outfit wearer wins these prizes AND a Lord of the Pies gourmet Woolton Pie for tea! Prizegiving at 2.00 pm. Kay Sanders of the Military Vehicle Trust enjoying a knees-up with a soldier pal at last year's Yanks in Stockport Fair. Photo by Andrew Ayres. retrospektiv studio - vintage goods. Rita Black - vintage homeware and collectables. Serendipity - vintage homeware, costume jewellery, handbags, accessories, homeware. Shabby Cheek - "wonderful things you never realised you wanted …"
Sheila's Store - lots and lots of vintage jewellery. Stockport Air Raid Shelters - presenting their handling collection of authentic wartime artefacts. Strumpets Bazaar - vintage men's and women's clothing and accessories; homeware. Stuart Thornley Cake Design - cake supremo, artiste of icing sugar. Details of this month's specials above. Sue Booth's Sparkly Things - vintage jewellery, bric a brac, textiles. Suzylovesmilo - vintage clothing (mostly women's), homeware, knick-knacks 1950s-80s; handmade clothing and accessories using new and recycled materials. Sweet Caroline - Vintage textiles, clothing, accessories, haberdashery, homeware and collectables. The Crinoline Lady - vintage costume jewellery and accessories, homeware. NEW! The Lost & Found - various vintage items including suitcases, reading glasses, kitchenalia, music memorabilia. The Sun Will Shine - vintage homeware. TinTrunk - an expanding range of vintage luggage plus apparel for ladies and gents, jewellery, homeware, textiles, collectables. Find TinTrunk at Room at the Top Vintage Goods. Vintage Belle - women's vintage clothing and accessories. Watch The Flowers Grow - local, seasonal, chemical-free flowers presented in imaginatively vintage-themed ways.